If you’re thinking of adding walnut decking to your outdoor space, we strongly recommend that you consider TimberTech’s EasyClean Tropical Walnut capped composite decking as an alternative to traditional hardwood boards. Genuine hardwood walnut decking requires a lot of maintenance and, more importantly, its manufacture can be very detrimental to the environment. 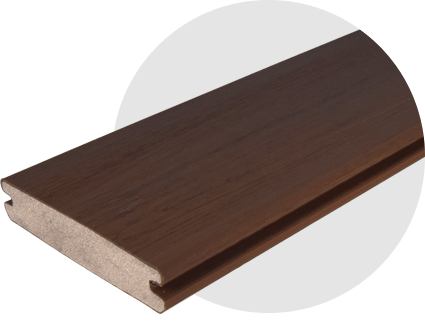 Our walnut decking, on the other hand, is made by combining recycled wood with synthetic materials – not a single tree is felled in our manufacturing process, and the boards we supply are exceptionally low-maintenance! 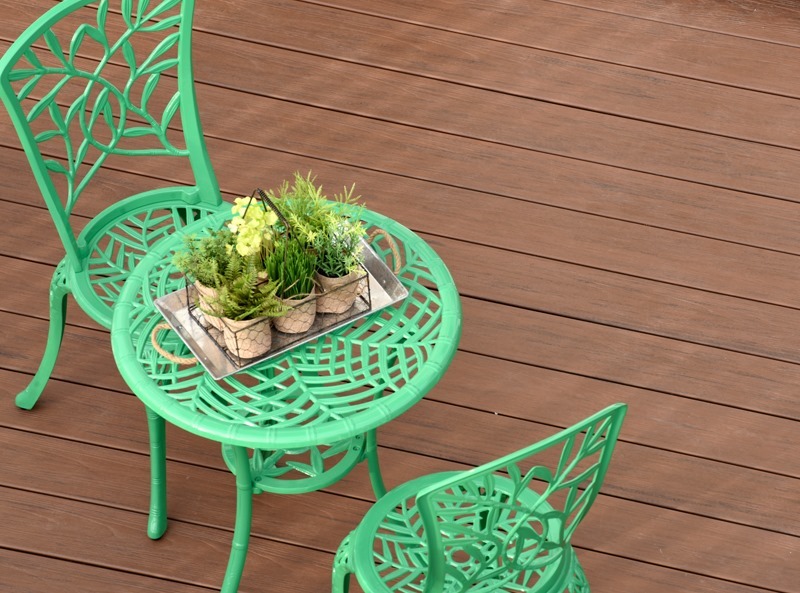 EasyClean Tropical Walnut decking has a number of advantages over other decking materials. 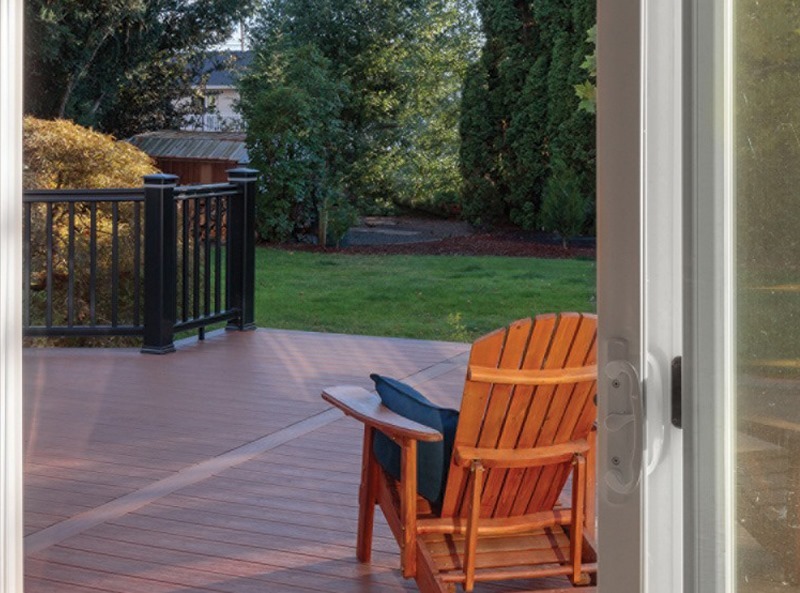 The boards will last for years without rotting or splintering, and they are capped with a fully protective wrap-around polymer sleeve that keeps out moisture and allows the surface of the deck to be wiped clean. 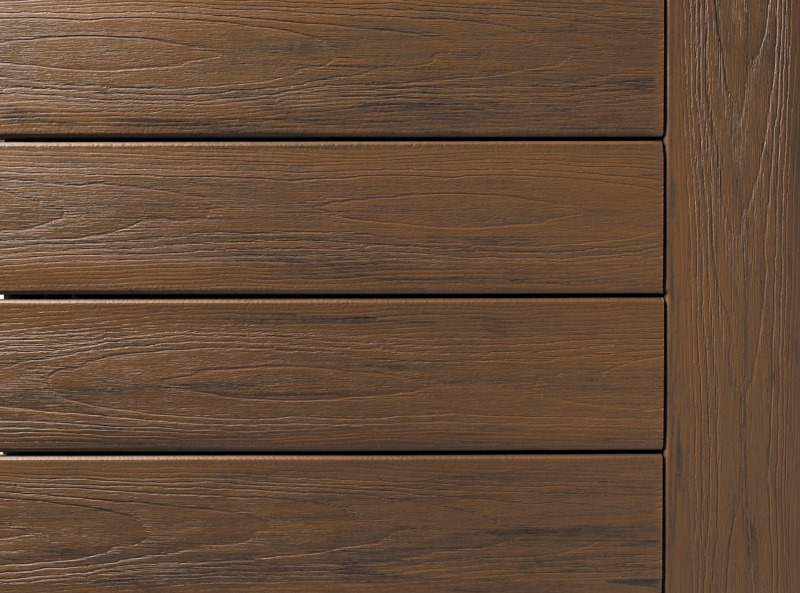 With a stunning colour and a sumptuous grained texture, our tropical composite decking is among the most authentic-looking products on the market. Click here to order a free sample, or call 029 2080 3756 if you’d like to discuss your project with the TimberTech team. 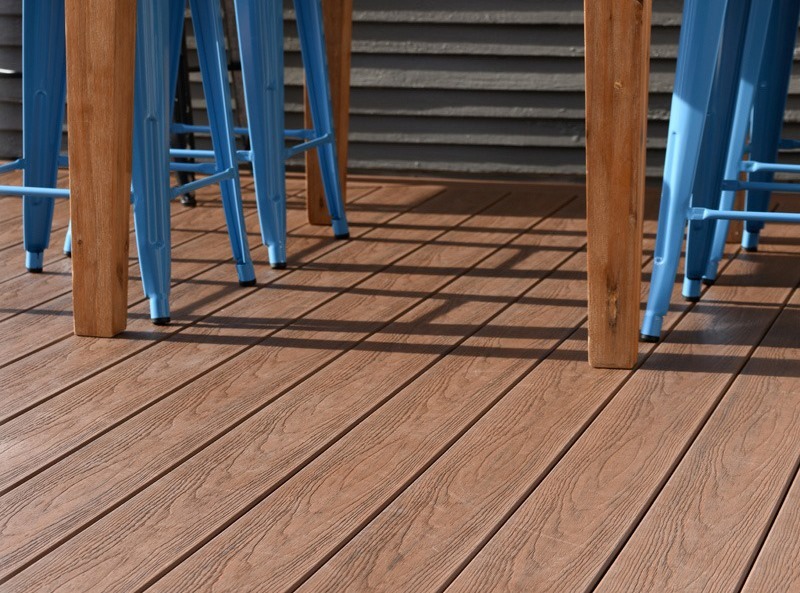 Looking to add that perfect finishing touch to your tropical composite decking? Try our composite railing systems. EasyClean Tropical Walnut deck boards are designed to imitate the varied colours and shades found in traditional hardwood decking. When you order your free sample pack, please bear in mind that the small sample board may not accurately convey the full effect of this design – please visit our EasyClean Tropical Gallery for a better idea of how your EasyClean Tropical deck will look once installed.